Genetic technologies have been a presence in United States courtrooms for decades. In 1987, Tommie Lee Andrews became the first person in the United States to be convicted of a crime based on DNA evidence, spurring the first appellate decision on the admissibility of the results of a genetic test. Andrews v. State, 533 So.2d 841 (Fla. Dist. Ct. App. 1988). Two years later, the case of State v. Woodall, 385 S.E.2d 253 (W. Va. 1989), brought the issue of DNA evidence to a state’s highest court, which concluded that the reliability of genetic testing was generally accepted in the scientific community. A review of these cases and their progeny demonstrate that genetics in the courtroom has historically been focused on the “who” and “what” —seeking to resolve paternity, to include or exclude individuals as criminals or victims of crimes, or to identify the mode and manner of criminal activity. However, due to our increased understanding of human genetics, there has been a shift in, and expansion of, the use of genetics in the courtroom to address the “how” and “why” —the causation of, or susceptibility to —disease in mass tort and products liability litigations. Even though the technology is cutting edge, the admissibility of expert testimony regarding genetic testing is subject to age-old rules. This article reviews some recent decisions regarding genomics, and provides practice pointers for litigators involved in these types of proceedings. Genomics is the study of genomes — the complete set of DNA within a cell of an organism. Genomics, family history and the environment each play a significant role in the etiology of disease. The Human Genome Project was an international scientific research project formally launched in 1990 and declared complete in 2003, culminating in the sequencing of approximately 92% of the human genome, the blueprint of human life. Today, thousands of human genomes have been sequenced, and many more mapped to lower levels of resolution. The widely held expectation has been that genomic studies will lead to a greater understanding of gene structure and function, resulting in advances in the diagnosis and treatment of disease, individualized medicine, and advances in fields such as biology and evolution. However, genomic studies have also birthed a sideline of implications in the courtroom as well. Pharmacogenomics, a relatively new field of study, explores how a person’s genome affects response to drugs. While medications have historically been engineered using a “one-size-fits-all” approach, a person’s genetic make-up affects the way drugs are metabolized, and the anticipated side effects. Toxicogenomics explores the genome’s response to adverse environmental exposures. As with the response to medications, each person is unique in his or her susceptibility to toxic agents, and a person’s genome may divulge information regarding: 1) an individual’s susceptibility to toxin exposure; and 2) whether or not an adverse health effect was in fact caused by an exposure to a toxin in the environment. Given the foregoing, it should come as little surprise that genetics and genomics are being used as both a sword by plaintiffs, and in certain circumstances as a shield by defendant manufacturers, to prove or disprove the cause of disease in toxic tort and product liability litigations. In Bowen v. E.I Du Pont de Nemours & Co., 2005 WL 1952859 (Del. Sup. Ct. June 23, 2005), for example, genetic testing demanded by defendants, and performed mid-lawsuit, demonstrated that a child’s arrested in-utero development was caused not by maternal exposure to the defendant’s fungicide, as alleged by the plaintiff, but instead by a “CHD7″ gene mutation, sounding a death knell for that plaintiff’s case. In other instances, genetic pre-dispositions or susceptibilities are being used to argue “eggshell plaintiff” claims — that a tortfeasor aggravated preexisting physical or mental conditions. In VanSlembrouck v. Halperin, 2014 WL 5462596 (Mich. Ct. App. 2014), for example, the plaintiff parents of a child with a rare genetic disease successfully presented expert evidence that birth trauma caused by improper care markedly worsened and exacerbated deficits attributable to the child’s genetic condition. Genetic pre-dispositions or susceptibilities may also form the basis of duty-to-warn claims or claims for medical monitoring. It is widely recognized that disease conditions often have multiple etiologies, and there is usually no direct evidence of which possible cause produced a disease in a particular individual. Genetic methods and data have the potential to fill certain of these scientific gaps, and are gaining increasing use in the courtroom. Simply stated, the “omics” era is here to stay, and practitioners need to obtain a working knowledge of the use of genomics in litigation. 1. Don’t speculate —While it is recognized that genetics plays a role in disease etiology, general arguments without reasoned scientific support will not be admissible in litigation. Genetic methods and data have started to fill gaps in connection with disease etiology, but courts will not hesitate to exclude evidence and arguments not supported by reasonable and tested scientific data. The standard for admissibility of scientific evidence remains the same, and is not applied differently simply because the arguments in issue relate to genetics having a role in disease etiology. In 1923, the Circuit Court for the District of Columbia set forth the Frye standard for evaluating expert evidence. Frye v. United States, 293 F. 1013 (D.C. Cir. 1923). Under its teaching, trial courts, when faced with a challenge to the admissibility of expert testimony, admit the testimony if the methods the expert used are generally accepted as reliable in the scientific community. In 1993, the United States Supreme Court, in Daubert v. Merrell Dow Pharmaceuticals, 509 U.S. 579 (1993), held that the Federal Rules of Evidence superseded Frye as the standard for admissibility of expert evidence in federal courts. Under Federal Rule 702 (the Daubertstandard), consideration is given to whether the theory or technique the expert employs is generally accepted, whether the theory has been subjected to peer review and publication, whether the theory can and has been tested, whether the known or potential rate of error is acceptable, and whether there are standards controlling the technique’s operation. Daubert is the standard employed by federal courts and the majority of state courts; however, there are state jurisdictions that still follow the Frye framework. In In re E.I. du Pont de Nemours and Co. C-8 Personal Injury Litigation, 2017 WL 237778 (S.D. Ohio Jan. 11, 2017), the court refused to credit an attack on the reliability of the plaintiff’s expert testimony. According to the defendant, the plaintiff’s expert had not properly considered a genetic linkage and family history between testicular and ovarian malignancies when offering evidence of disease causation. As the court explained in part, the scientific evidence alluded to by the defense was merely “emerging” and “evolving,” and was not yet accepted in the relevant scientific community. General arguments unsupported by accepted science could play no role in the litigation. Likewise, in pharmacogenomics litigations, plaintiffs have been largely unsuccessful in advancing arguments of genetic predisposition to drug reaction without concrete scientific data. See, e.g., Mills v. Bristol-Myers Squibb Co., 2011 WL 4708850 (D. Ariz. Oct. 7, 2011) (dismissing claims at motion to dismiss stage that plaintiff may suffer genetic predisposition affecting drug reaction because plaintiff did not allege scientific facts upon which to conclude she carried genetic variant in issue). 2. Ensure that expert witnesses consider genetic data related to disease. While mere speculation will not pass muster, expert witnesses in this day and age must consider and grapple with genetic data that does exist, or they may find their expert analysis excluded as unreliable. In addition to general admissibility standards, two causation principles apply in the context of medical causation: A plaintiff must establish both general (whether a substance is capable of causing a particular injury) and specific (whether a substance in fact caused the injury in issue) causation. General causation is often proven through methodologies drawn from epidemiology and toxicology, and include the dose-response relationship, epidemiological studies, background risk of disease, an understanding of the physiological mechanisms involved, and clinical studies or tests. Specific causation is frequently demonstrated via differential diagnosis, a technique of identifying the cause of a medical problem by eliminating the likely causes until the most probable one is isolated. With regard to differential diagnosis, courts have increasingly required expert witnesses to consider genetic data relating to disease. In Henricksen v. ConocoPhillips Co., 605 F. Supp. 2d 1142 (E.D. Wash. 2009), for example, the court excluded the specific causation opinion of the plaintiff’s medical expert as unreliable. In this benzene exposure litigation, the plaintiff’s expert had opined that the plaintiff suffered leukemia instigated by occupational exposure to benzene in gasoline. The court found the opinion to be unreliable because the expert did not consider distinct patterns of chromosomal aberrations that the scientific literature demonstrates accompany benzene exposure-induced leukemia, as opposed to idiopathic leukemia; therefore, the differential diagnosis performed by the expert was incomplete. 3. Make a reasoned decision as to whether to genetically test (for plaintiff’s counsel) or to demand genetic testing (for defendant’s counsel). Finally, while courts increasingly require expert witnesses to consider genetic data, this does not necessarily translate into a requirement for genetic testing in all instances. In considering whether to conduct or demand genetic testing, an attorney must evaluate the impact of a negative or positive result, and must also consider the jurisdiction’s rules for admissibility, as well as a plaintiff’s clinical presentation, family history, and the opinions of consulting experts and treating physicians. In N.K. v. Abbott Labs, 2017 WL 2241507 (E.D.N.Y. May 22, 2017), the court found a plaintiff’s expert testimony inadmissible because the expert failed to reliably opine on specific causation via differential diagnosis given that there had been no genetic testing, and the expert could not rule out a genetic cause for the plaintiff’s condition. In that matter, no less than four medical providers recommended genetic testing given the child’s clinical presentation of disease. The defendants in Kiker v. Smithkline Beecham Corp. argued for the same result —€ the exclusion of the plaintiff’s expert testimony, in part for failure to conduct genetic tests. 2016 WL 7974206 (S.D. Ohio Apr. 25, 2016) (trial motion). However, unlike in the N.K. matter, the patient in Kiker did not present with clinical signs that suggested a genetic cause for his cardiac malformation, and the child’s treating physician had determined that genetic testing was not needed. Kiker v. Smithkline Beecham Corp., 2016 WL 7974211 (S.D. Ohio Nov. 18, 2016) (trial motion). Under these facts, and notwithstanding the expert’s failure to conduct genetic tests, the court in Kiker found the expert’s testimony admissible under Daubert and the Federal Rules. 2016 WL 8189286 (S.D. Ohio Dec. 15, 2016). There can be no doubt that genetic methods and data have the potential to fill gaps in our understanding of disease etiology, and that this knowledge will continue to become forefront in the courtroom in toxic tort and certain product liability litigations. Litigators in these fields need to become conversant with the technology while also recognizing that our understanding of the human genome is still markedly incomplete, rendering each case, and the admissibility of expert testimony in each litigation, extremely nuanced and fact-specific. 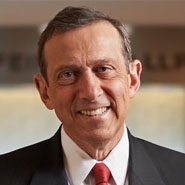 Ronald J. Levine, a member of Product Liability Law & Strategy’s Board of Editors, is the Co-Chair of the Litigation Department at Herrick, Feinstein LLP, with offices in New York and Newark, NJ, where he concentrates in mass torts litigation. 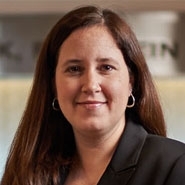 K. Heather Robinson is a litigation associate with the firm. Reach them at [email protected] or [email protected], respectively. This article was published in the September 2017 edition of Law Journal Newsletter's Product Liability Law & Strategy.